Following the successful US trial, a randomised controlled study of the PelvicToner was started at The Bristol Urological Institute, the UK's leading urodynamics research institute in 2008. 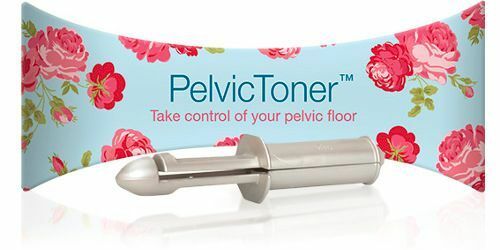 The aim of the study was to directly compare the PelvicToner with the current NHS 'Gold Standard' treatment of pelvic floor muscle training (PFMT), the only other course of treatment recommended by the National Institute of Clinical Excellent (NICE - CG40). "It is 60 years since Arnold Kegel proposed pelvic floor exercises as a treatment for stress incontinence but a simple, effective method of putting all his principles into practice has eluded us. This optimism was well founded. The PelvicToner works on the basis of the key principles identified by Arnold Kegel, and helps the user identify and isolate the correct muscles and then exercise by squeezing against resistance. The user gets instant feedback to show they are squeezing correctly and, as the user improves, she can increase the resistance in stages to make your exercise more demanding. It's so simple to use and takes just five minutes a day. The report author, Professor Marcus Drake, notes how the use of the PelvicToner can help overcome the fundamental weaknesses associated with PFMT ie poor training, lack of patient confidence and poor compliance with the exercise recommendations. The findings of the trial have been presented at national and international conferences including the ICS Conference, San Francisco, September 2009. In January 2011 the PelvicToner was listed within the Drug Tariff Part IXA-Appliances in the new category of Pelvic Toning Devices. Several papers by nurses and physiotherapists have identified that the traditional PFMT methods fail because: "Pelvic floor exercises are often poorly taught and ineffectively carried out, patients often fail to engage the correct muscles and fail to continue with the exercises as prescribed." Some clinical studies report that as many as 30% of women are unable to identify and squeeze their pelvic floor muscle when asked. These weaknesses are overcome with the PelvicToner. The constraints of the trial meant that the exercises were performed at a very low level: the PelvicToner was used at its lowest level of resistance and subjects performed fewer squeezes than we recommend. We strongly believe that had the test allowed users to increase the performance levels during the course of the test, significantly greater benefits would have been seen, a belief that is supported by the feedback that we receive from our customers.